Dermatologists really, really want you to have your best skin possible—so much so that the American Academy of Dermatology created the National Healthy Skin Month awareness campaign. Every November, it’s a great reminder to get back to healthy skin habits. Healthy skin looks beautiful at any age, but great skin is about much more than just looks. Since your skin is the largest organ of your body, it helps protect you from lots of scary stuff out there. Bacteria and viruses on your skin can make you sick, while pollution and UV radiation can cause free-radical damage that accelerates signs of aging like fine lines, dullness and loss of elasticity. The healthy habits you build during National Healthy Skin Month will last all year long. Here’s how to start. 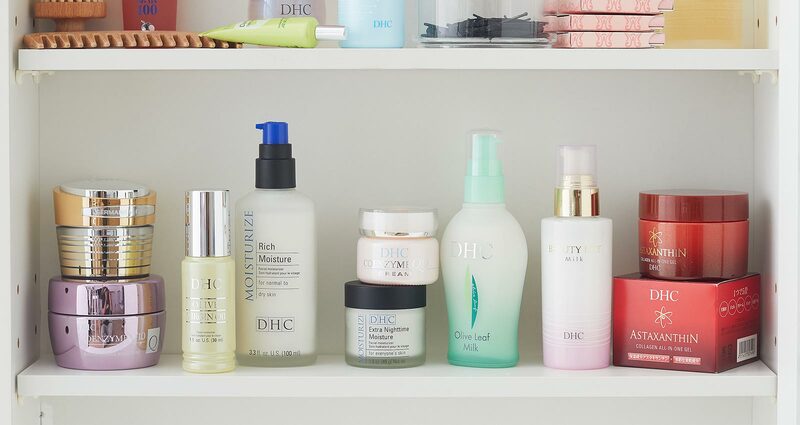 The best skin care routines start with a thoughtful cleansing regimen. That means double cleansing. Start off with an oil-based cleanser to bind with makeup, sebum and sunscreen. Follow with a lathering cleanser to rinse away impurities like sweat and pollutants. Dermatologists recommend you moisturize your skin not only for the beauty benefits, but because it can help prevent extreme dryness or oiliness by pH-balancing the skin. Choose a moisturizer rich in antioxidants for even more skin-protecting power. Every time you dip your fingers and brushes into makeup, it increases the risk of bacterial contamination. Take those expiration dates on your makeup seriously if you want optimal skin—experts recommend throwing out foundation, eye shadow, primer and blush after two years, lipstick after 12 months, and liquid liner and mascara after just three months.